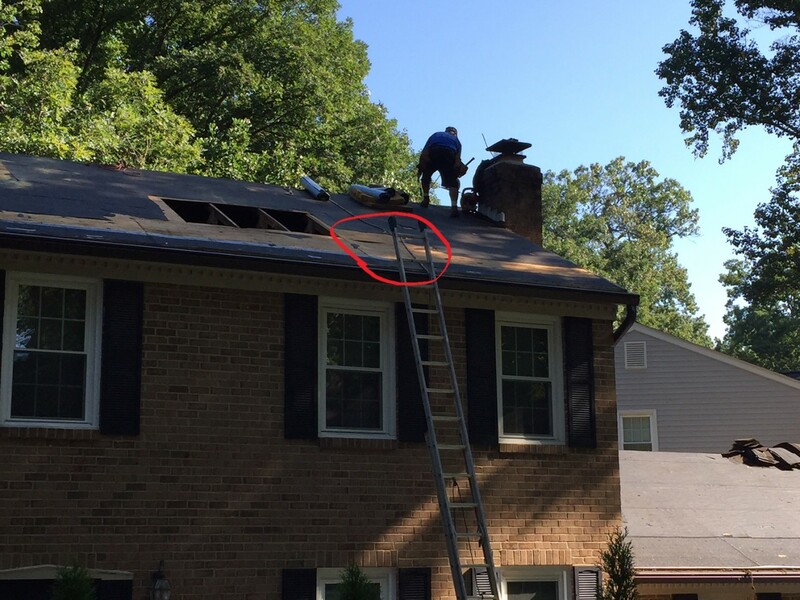 I just had a new roof installed and I noticed this oddity when the crew was doing the work. It looks like the plywood in the circled area is bowed and I can see obvious space between that and adjacent pieces of plywood. This piece of plywood was not replaced. I talked to the contractor and he said he is not concerned about this. Should I be concerned? He has offered to re-do this part of the roof, but said it will be "intrusive" and does not recommend it. Any suggestions?